Thelma is a Filipina Expat who is living in Germany. She is not only passionate about traveling and baking but also an emotional poet. Waiting for my coming back home. Until she went to heaven. Hoping to be taken care of once again. Caressing the once so beautiful plants. In white, pink, yellow and violet. As long as I'll be with you. Many years have passed since I have written this poem. My tropical garden is getting wilder every year. Orchids are not the only plants I have revived. I have added some other beautiful easy to care flowers in the once so "empty" garden. I planted different variations of Mussaenda, yellow, red and pink Hibiscus, Torenia flowers, Torch Ginger, Turmeric, Sapphire Showers, Roses in white and red, Birds of Paradise, Bougainvillea, Moss Roses, Zinnias, Cosmos and much more. 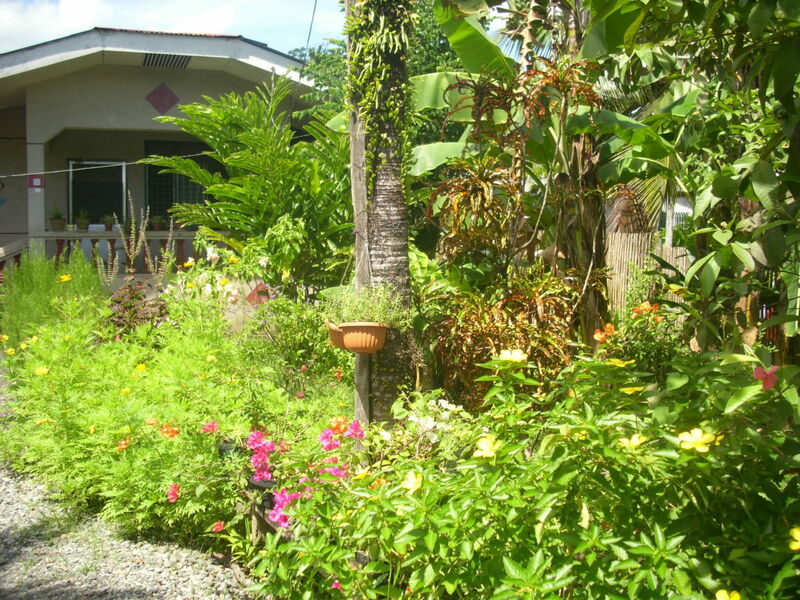 Besides the flowers, I planted fruit trees and shrubs as well. My tranquil place visited by butterflies and birds. My garden has become a country garden taken care with love and passion. Hi, Olivia. Thanks for dropping by and commenting. Have a great day! Thank you very much, Andria Perry. Have a nice day! Thank you very much SandyMertens for your wonderful comment. Happy New Year 2015! Love the beautiful orchid photos and the poeticness to this hub. Thank you Audrey. Have a nice day! Yes, they are. Thank you Tia Maria. Have a nice week! These Orchids really are beautiful, nature can be so inspiring. Thank you Vinaya. Your comment is highly appreciated. Have a great week! I loved the comparisons: dead mother and dried orchids. Thank you Gypsy Rose Lee for your wonderful comment. Yes orchids are delicate flowers, one should know how to take care of them. Thanks for passing this on. Have a lovely weekend! Voted up and awesome. Wonderful poem. Love orchids but they are such delicate flowers and their perfume is pleasant. Passing this on. I´m sorry I have made you cry. 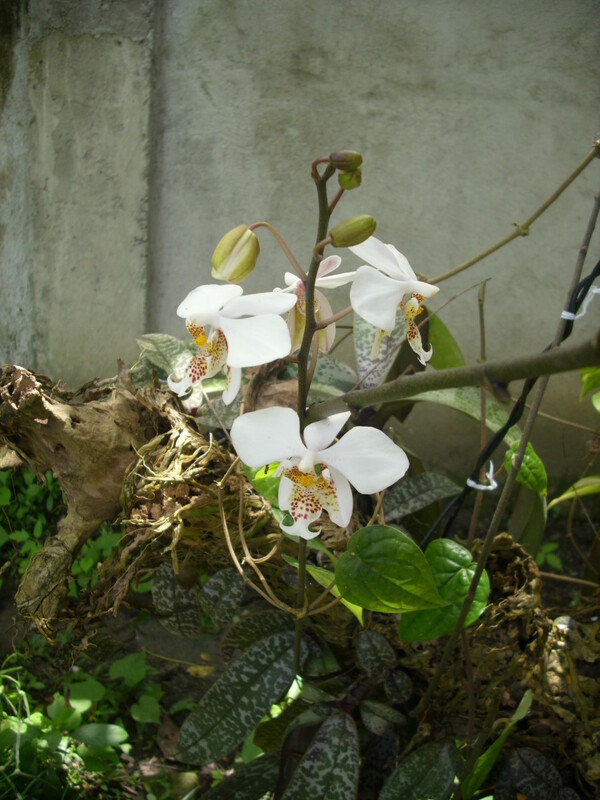 It was shown in my poem how sad I was with the dying out of my orchids, but I´m glad they are great now. Yes, I sometimes felt that my mothers was watching me over there, somewhere. Oh, my.....you had me in tears. I'm sure your Mother sees and knows how much you love her orchids. I'm so happy you brought her orchids back to life with tender loving care. I love orchids, too. 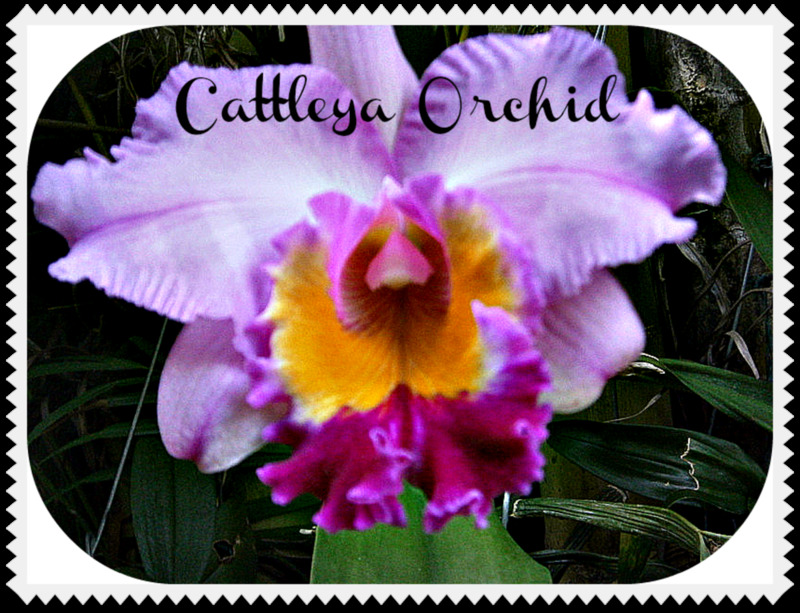 I was thrilled to see my Hub about my Cattleya orchid as a related Hub to this one! That orchid was given to me as a Mother's Day gift several years ago. It blooms every Mother's Day! Your orchids are outstanding. Voted UP, shared and Pinned. Thank you Dolores Monet for your wonderful comment. I appreciate that. Yes, my mother will always be with me. Thanks for your visit. Such beautiful orchids! And what a wonderful legacy from your mother. Your lovely poem illustrates your loss so well, and how, as the orchids came back into good health and flowered, that your pain is healing. Your mother will always be with you. Yep, you´re right. Once in a while we need that. Thanks for your visit elle64. Have a great day! Beautiful, we all need to have o tender words whispered to us once in a while, the pictures are beautiful. Thanks for your wonderful comment RunningDeer. My secret which actually not a secret anymore is that, putting fertilizer to the orchids once a month will help your orchids rebloom. I have written how to take care of orchids. Thanks for sharing this hub to others and for following me. Have a great weekend! Thank you for visiting again and for sharing this hub to the others. Yes, you are right. Our mothers will always be with us and I hope it really is true that beyond the shadow of death, we see our long lost relatives. But not now, we still have a lot to enjoy like writing here in HP. Cheers to our mothers! Have a lovely weekend! Your poem was beautiful. You spoke of so much in just one poem. Lovely. Your orchids are absolutely beautiful. Will you tell me your secret? I can't get mine to rebloom :( Beautiful poem and orchids. Voted up and sharing. Came back to share this lovely poem this time. Our mothers will always remain in our minds and hearts. Your lovely orchids that were touched and loved by her and which are now being cared for by you are a testament to life forces that continue in the here and now and will continue long after your fingers no longer caress those orchids. Someday beyond the shadow of death we will see our mothers again. This I truly believe. In the meantime, hold fast to your memories as I do. Thank you justmesuzanne. Your comment is highly appreciated. Have a nice day! What a wonderful hub so touching. I love orchids. Hello ITcoach! Your comment is very awesome. I love it. So deep....and yet so beautiful. Thanks for stopping by. Take care! Thanks for the complement tammyswallow and for pinning and sharing this poem to others. Have a great day! your esteemed touchy post enhanced people attention towards the orchard making. It is no doubt it seems to be an appreciation for the people that don't have the same gifts of nature. Thank you James. I appreciate your wonderful comment. Have a lovely day! Your poem, like your orchids, is a thing of beauty. I enjoyed your creative gifts today. Thank you for this pleasure. Thank you urmilashukla23 for your nice comment. Have a great week! These are so very very beautiful Thelma;a beautiful whole hub actually . I love flowers,countryside,animals,wildlife and I am today saving this gem in to My favourite hubs slot. Thank you my dear friend for sharing. 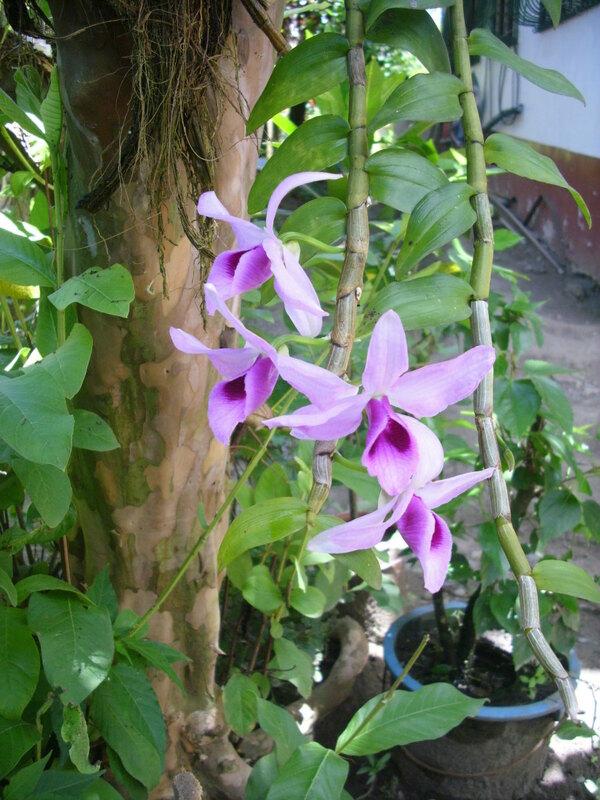 Your beautiful orchids needed your magic touch and attention. Lovely poem. Voted up! Thanks for your visit moonlake. Some of my friends have no luck in growing their orchids. 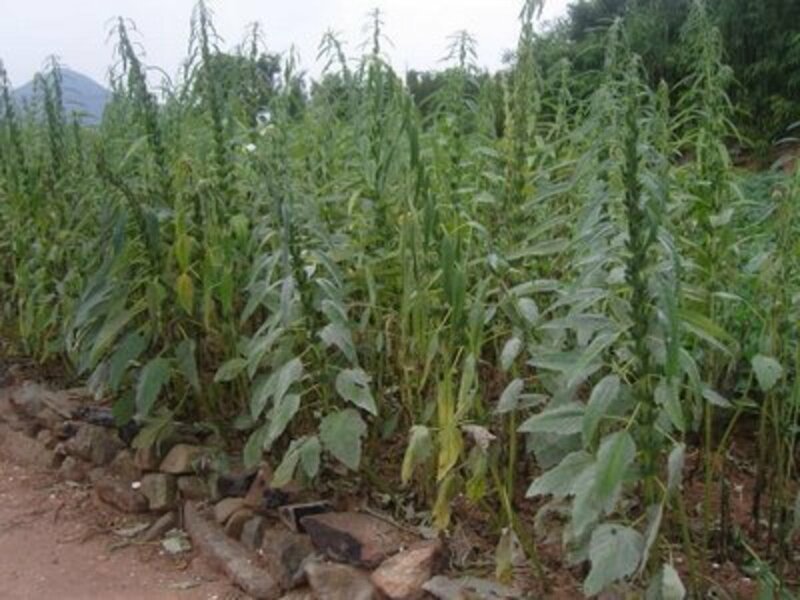 You have to know some basic on how to let them grow to be successful with these flowers. Have a lovely day! Take care. Thank you rajan jolly for your wonderful comment. It´s highly appreciated. Have a great day! So pretty. I have a friend that grows them here inside but I have tried and I can't get them to live here. Loved your poem and your pictures. Voted uP. Beautiful poem and some awesome orchids. 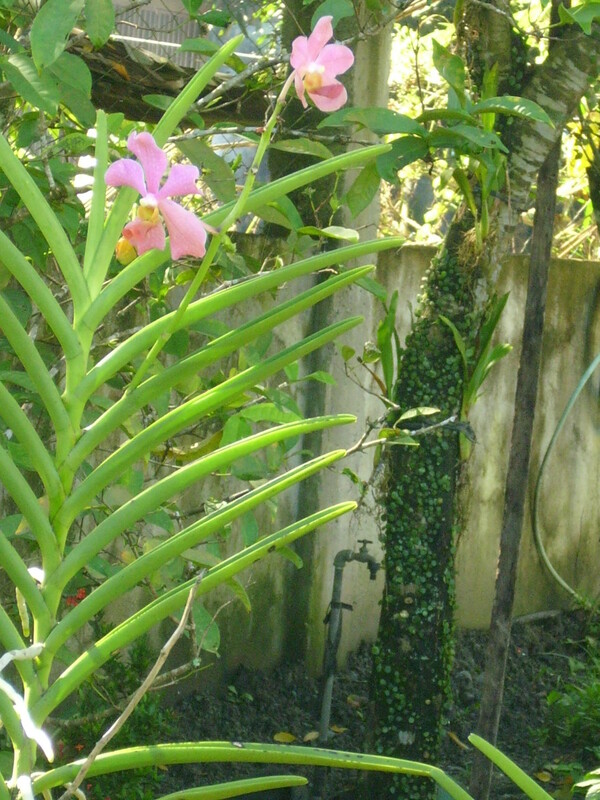 Your mom sure must be happy seeing your orchids blossoming once again, the plants she so lovingly nurtured. I loved your pretty orchids! Thank you so much for sharing, and nice hub! I hope your weekend ahead is wonderful. Yes, I think that´s my way of dealing my grief of losing my mother. I miss her and I know she knows (somewhere invisible for me to see in another world) that I´m taking care of the family and the flowers that she love. Thanks for your stopping by Minnetonka Twin. Have a great day! Thelma-What a wonderful way to deal with your grief of losing your mother. Those beautiful Orchids are a part of your mother and the love she gave them. Her spirit is in the flowers and will be there to comfort you. Thank you Epigramman! Your comment is highly appreciated. I see, you woke up so early in the morning. What a beautiful day to start reading hubs! Take care. Thank you pagesvoice. Your comment is highly appreciated. Have a fun week! Voted up and beautiful. You put together a wonderful article with beautiful pictures. I share your love of flowers. You told a spell binding story through the orchids you had so tenderly cared for. It is good to hear about your captured imagination. You can use my photos for your another orchids painting. I have just read your hub. Your orchids painting is beautiful and I will give you a link on this hub. Thanks for your stopping by. Have a great day! Thank you thumbi7. Have a great day! I will post your lovely poem on my article about how to paint Orchids here on Hubpages today! You captured my imagination when you wrote your orchid poem. The photos are lovely too. Please visit my article about painting orchids here on hub pages. It is complete with video instructions. 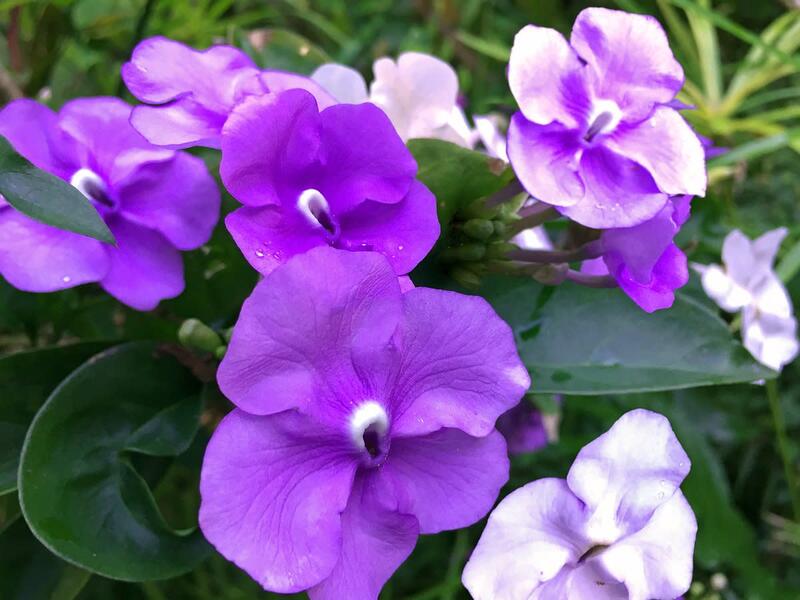 What beautiful flowers so dear to our lives! It is called "Oil Painting Orchids". Hi jpcmc! 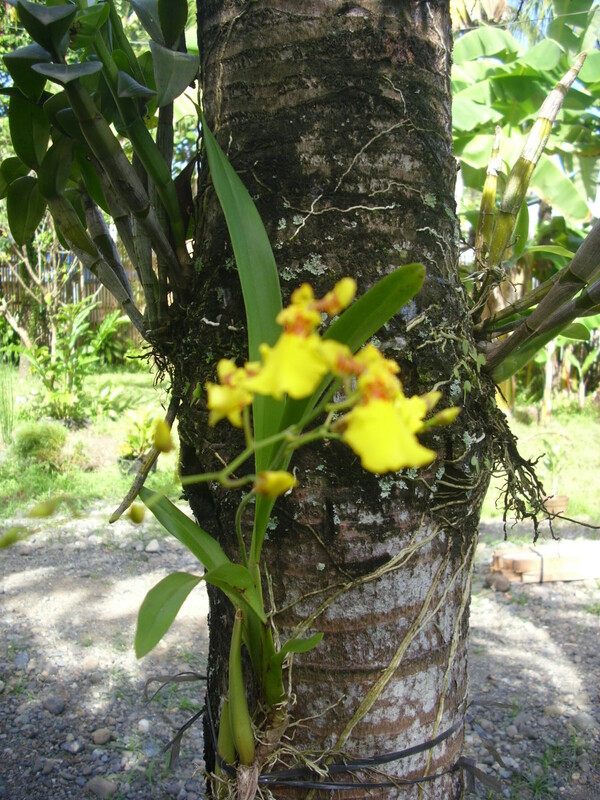 We treated our orchids in the same manner, with respect to their beauty. 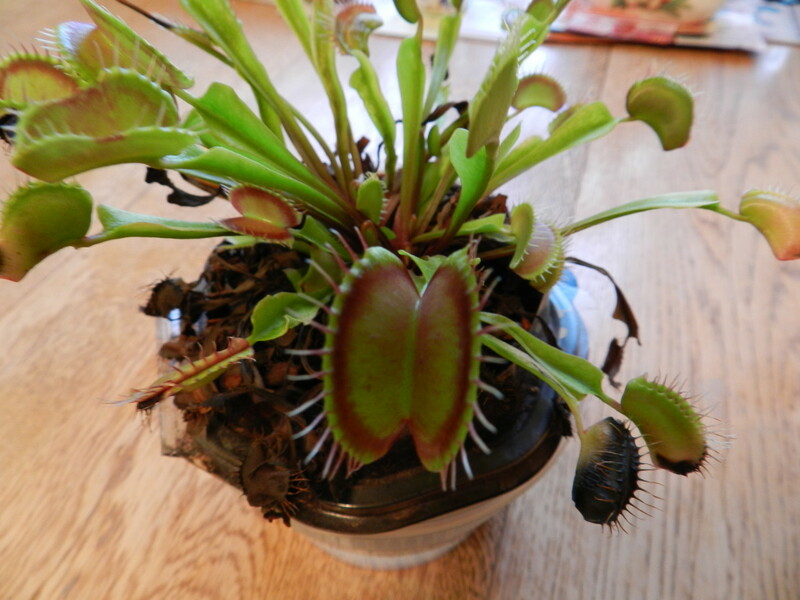 But I don´t give the whole plant unless I know that it will be very well taken care of. Thanks for stopping by. I love orchids and it's so sad to see them dry up. I also talk and touch my plants. it may seem weird to others but I still do it. I love your dancing ladies. I gave my wife (still my girlfriend back then) dancing lady orchids I had for several years. When it bloomed I gave it to her. I never liked picking flowers or cutting them. Instead I give the whole plant so they can continue to grow. They are so beautiful. I do something wrong with them though. I have stopped buying them as I can't stand to watch them fail. So thank you for sharing yours! Thank you ChristyWrites. Have a lovely weekend! Oh what a lovely poem Thelma. I love the way you added the photos here too. I vote up. Thanks prasonline for your stopping by and for giving a comment. I hope you have a wonderful memory of your country. Have a great weekend, too! Hi MsDora! Thanks for your stopping by and for your comment. Have a great day! Resurrection is always beautiful and inspirational. This time, it also revives memories of your mother. Good job and thanks for sharing! Thank you Peggy W for your wonderful comment. I appreciate that. I hope you had a great day yesterday, on Mothers Day. Take care. I know that we will both be thinking of our mothers...especially tomorrow, Mother's Day. My dear mother died in January of 2010 and I still miss being able to talk to her on a daily basis. Sorry for your loss. You have her tenderly loved orchids which are living things to remind you of her...not that you need that, but it is nice. We have many things, including my mother's dog who still lives with us. It will be a sad day when he dies. 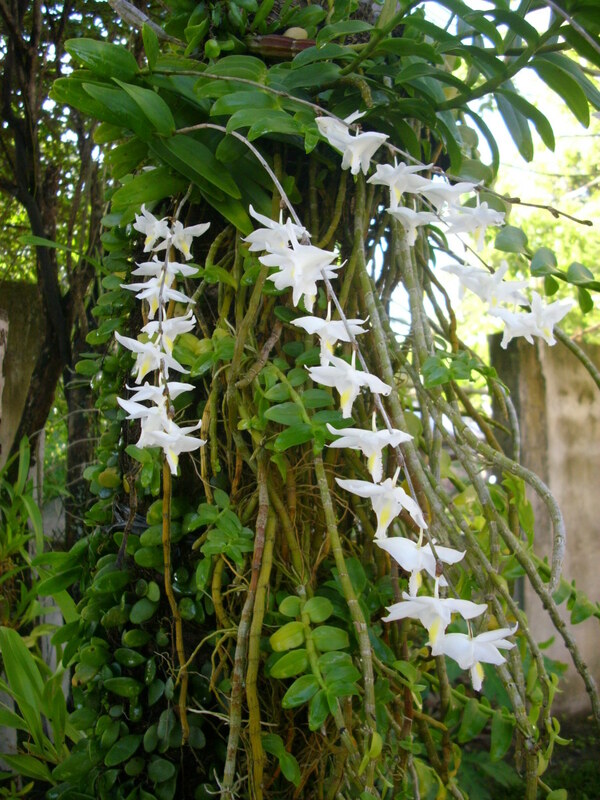 Hope that your orchids live long lives and keep lending their beauty to your life. Voting up and beautiful. Thank you sgbrown for your wonderful comment. I am sorry for the death of your mother. Yes, I think often of her especially when I look at our orchids. They remind me of her loving care. Take care. Thank you Vinaya. Your comment is highly appreciated. Have a lovely day! I just fell in love with your poem. Your Orchid pictures are awesome. Thanks Felina. I appreciated your lovely comment. I never thought before that by writing a poem, I will be able to express how I feel, be it sad or happy. Have a great sunday! Thanks Ruchira for your stopping by. Have a great weekend! Thank you Lady_E for your good comment. Yes, there is a special message that I came to know. Have a lovely weekend. i love orchids Thelma and your pix are brilliant and also the beautiful poetry. Beautiful Poem - I'm glad they have come to life. I think there is a special message in it for you too. Thank you donnaMhicks for your stopping by. Have a great day! Hi, cebutouristspot! I believe of what you have said about our garden architecture. Maybe we have the same taste. Orchids are beautiful to look at that's why I love them. Thanks for your stopping by. Take care. Hi, Au fait! Nice to meet you here in HubPages. Thanks for your wonderful comment. Yes, I will write a hub about how I grow my orchids sometime. Orchids were the only flowers that grew at my window in Germany that did not die. Other flowers were just a waste of money for me to let them grow. Thanks for stopping by. Take care. Thank you Brett for your good comment and for your SHARING. It is highly appreciated. 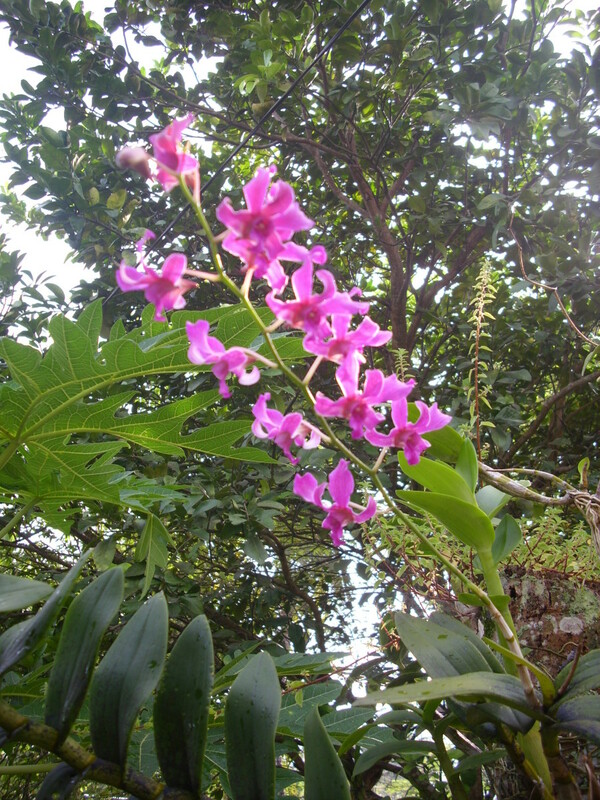 I think I would love to visit your place where the wild orchids are. Thanks again. Your orchids really are gorgeous, Thelma. I've heard they can be difficult to grow, but you seem to have a green thumb. Maybe you could share your secrets, what you do to make your orchids so successful and beautiful, in one of your hubs sometime. Voting you UP and beautiful! Some strong memories and beautifully written. As for the orchids, I think you would like the area I am in now, as they are famous for wild orchids growing along the border areas. Yes, Annie. The orchids carries the beauty of my mothers spirit. 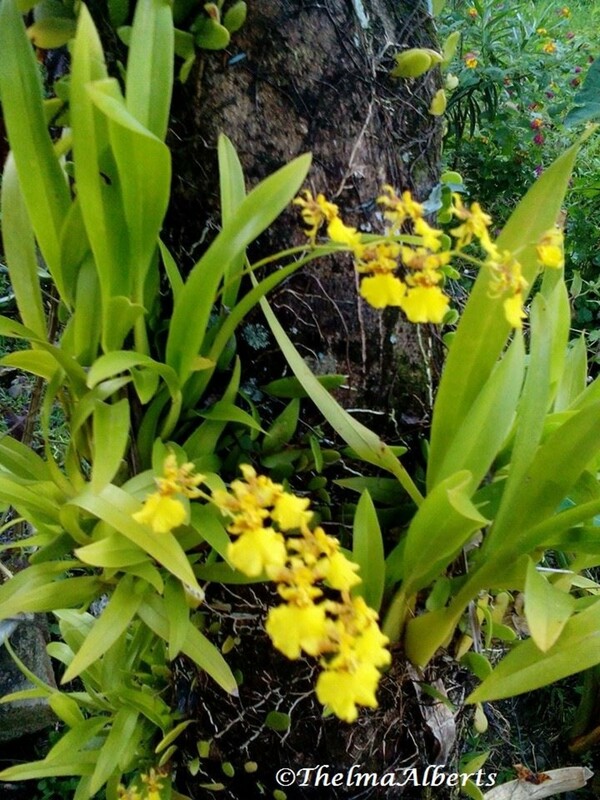 These orchids are very dear to me as they always bring back the memories of my mother, who has her 4th year death anniversary this coming Tuesday, the 3rd of April. Actually this poem is the first poem I have written for her. She did not even know that I love to write. Thank you for stopping by and giving such a wonderful comment. Take care. Thank you randomcreative. Have a great day! Hello anglnwu! Thanks for your stopping by and for leaving a good comment. Hello Thelma, this is so beautiful, I am sorry you have lost your mother - but pleased to hear your orchids are growing well again. Oh Thelma, your orchids are just beautiful and beyond the visible beauty they carry the beauty of your Mother's spirit. I can relate to the touching and caressing. Here is legacy for you to cherish. I am so very sorry that you have lost your Mother. I am so very glad you have her beautiful orchids to love. Thank you so much for sharing this story of continuing love. Just beautiful. My very best wishes to you, from Annie. Thank you Joyce for your wonderful comment. Have a lovely weekend! You are right, masmasika. This is emotional as I always remember how my mother took good care of our plants especially our orchids. Thanks for your stopping by. Have a great weekend. Thank you Irob for your visit. Your comment is highly appreciated. Thank you Yvette. Have a nice weekend. Take care. Lovely orchids. 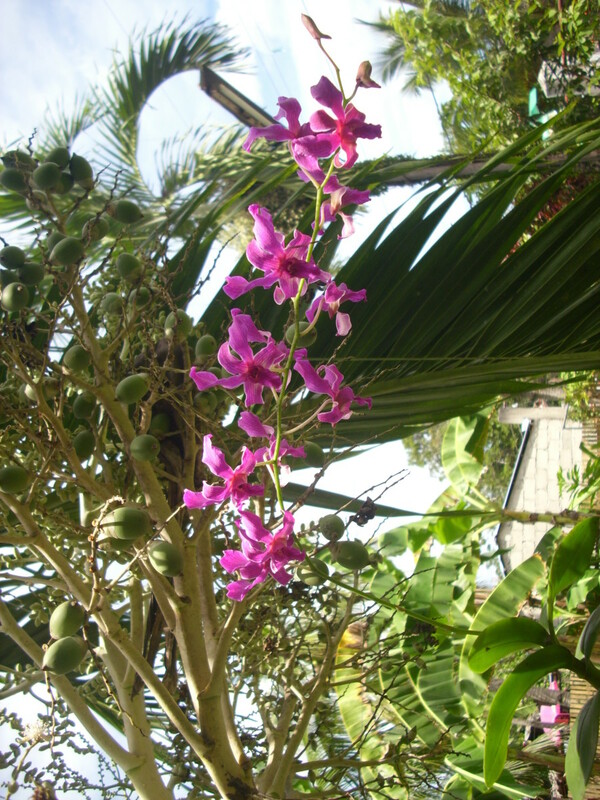 I think they grow very well in the tropics and I like that they grown on trees. Like your poem too. Wonderfully warm tribute to your Mother along with lovely photos. Voted up and beautiful, Joyce. This is a very emotional poem. Sad memories often pops into the mind and if you are a writer you always reflect them through lines in your written words. Sorry about your mother. I lost my mother too when I was 15 and I always write something about it. Thanks Thelma for a lovely poem.